For everyone who subscribes to Big Finish, every year they get a rather special treat, a special, one-off audio adventure. It is a story which is slightly shorter but just as full of quality as the regular releases. Return to the Web Planet was one of those and a really fun one to boot. Really, it is only the oldest of Doctor Who fans who might remember the William Hartnell story, The Web Planet when it originally aired. But this sequel, penned by Daniel O'Mahony doesn't require to have any special knowledge of that particular story beforehand. References to the original 1965 story are limited to the fact that the Doctor has visited the planet before, along with some subtle and rather amusing jabs at the costuming of the same serial. The protagonists are still the Menoptera, man sized butterfly-like creatures, but they work considerably better on audio than they ever did on television. And the story is split between an exterior threat to the surface of the planet Vortis and the more interesting storyline between the Menoptera hermit-scientist, Acheron and his tragically wingless daughter, Hedyla. 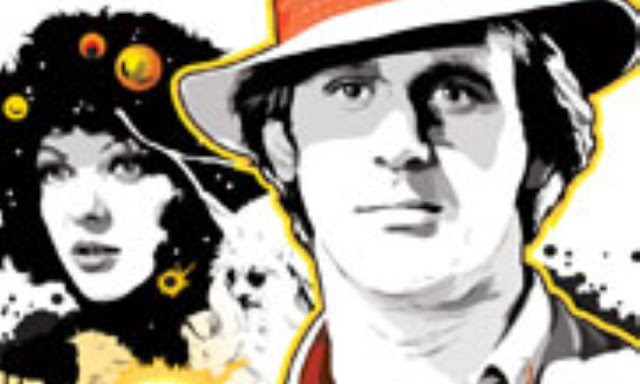 By now, Peter Davison and Sarah Sutton have a fantastic dynamic on audio and one never knows with the way Sutton delivers some of her jibes, whether they are supposed to be aimed at the character of the Fifth Doctor or not, one suspects that they are and it works brilliantly. And in this story, Davison gets some opportunities to show his more action-hero side, one of the strengths of his character that Big Finish has managed to brilliantly bring to life. Playing Acheron is Sam Kelly, a name familiar to Big Finish listeners for his comic but ultimately tragic performance as Eugene Tacitus in The Holy Terror with Colin Baker's Sixth Doctor. Here though, his soothing voice makes him feel like a very grandfatherly figure who has been on the receiving end of terrible treatment from his own kind. Julie Buckfield plays his daughter, Hedyla with a light enough touch that makes her the perfect companion for Nyssa. She manages to portray the tragedy of her character without ever resorting to melodrama to do it and clearly displays some character growth through the course of the story.